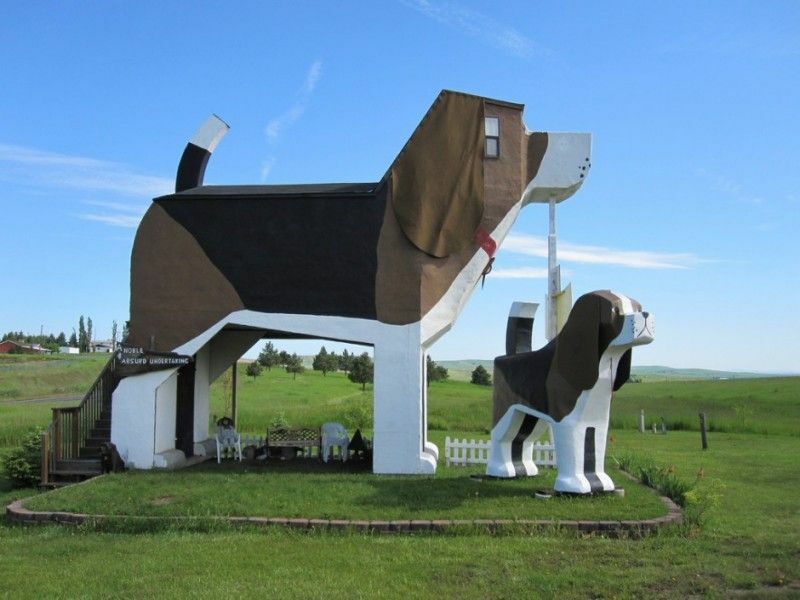 The Dog Bark Park Inn, which ACTUALLY EXISTS somewhere in Idaho, USA, is built in the shape of a beagle. It's a B&B with 2 bedrooms and is in the shape of a beagle. The room's contents are all dog themed and, oh yes, did we mention: IT IS IN THE SHAPE OF A BEAGLE! Someone buy us a ticket to Idaho please!